As a follow up to Mark Johnston's Commanding the Motif eBook Vol. 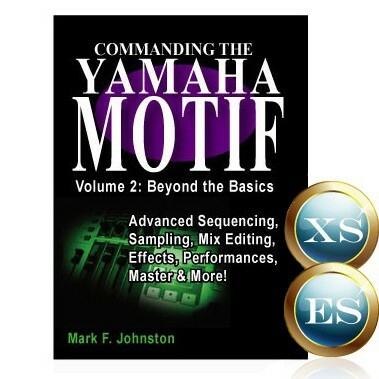 1, Volume 2 goes beyond the basics into greater detail with sequencing, sampling, mix editing, effects, and more. The illustrations generally feature the Motif ES, however, the vast majority of the instruction is applicable to Motif 'classic', and the MO series as well.